2a11 aluminum strip (Al-Cu-Mg) has high-strength, and it can be strengthened by heat treatment.2a11 aluminum strip has good plasticity and spot welding just after quenching or quenched. The treatment of quenching and strain hardening that make 2a11 aluminum strip have good machinability, usually get it anodic oxidation, paint or add clad layer on surface to improve its corrosion resistance. 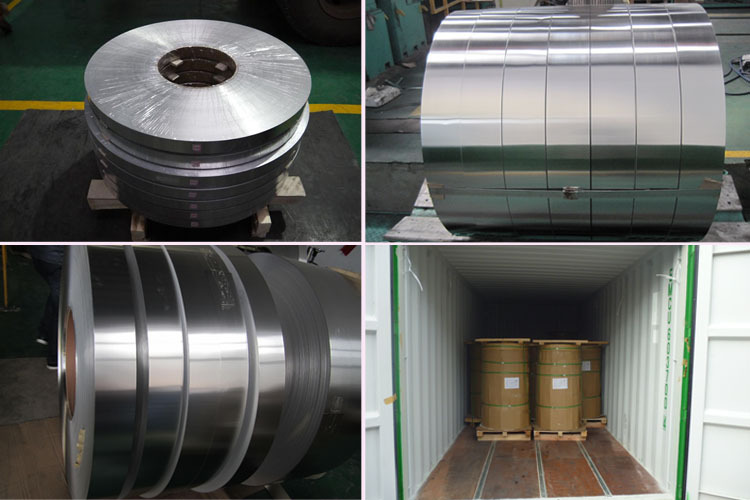 2a11 Aluminum strip products of haomei . meet the export standard. Plastic film and brown paper can be covered at customers’ need. What’s more, wooden case or wooden pallet is adopted to protect products from damage during the delivery. There are two kinds of packaging, which is eye to wall or eye to sky. Customers can choose either of them for their convenience. Generally speaking, there are 2 tons in one package, and loading 18-22 tons in 1×20′ container, and 20-24 tons in 1×40′ container.